1 court order : 16 pgs. ; 8.5 in. 11 in. United States District Court, Southern District of New York, Proceeding No. 77-B-695. Opinion of Judge Roy Babitt, Bankruptcy Judge. 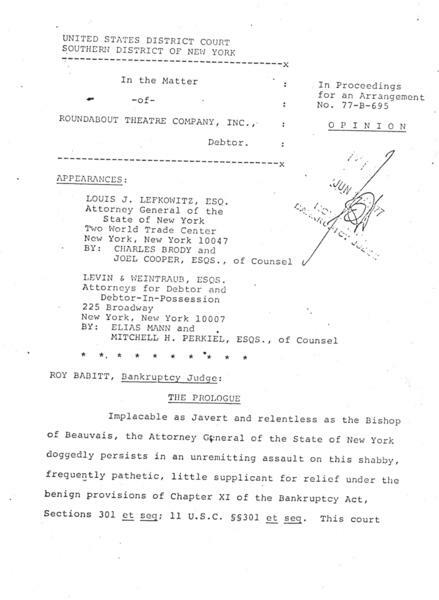 This June 1977 opinion on Roundabout's bankruptcy status is written as a two act play, with prologue and epilogue.